Planning to come to Sado for the Earth Celebration? Planning to take a ride on the taraibune? Arriving at Ogi Port where all the action is, this pass is recommended! 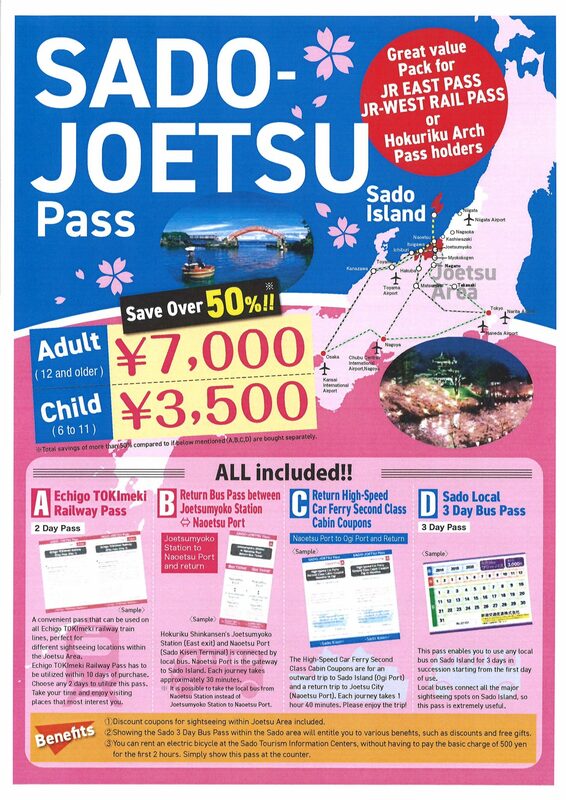 For the price of 7,000JPY for adults and 3,500JPY for children, total savings of more than 50% compared to if below mentioned(A,B,C,D) are bought separately.